Our love for music is as easy as breathing. It happens so naturally, we don’t even question it. Music plays a significant role in each of our lives. It accompanies us in almost every experience and emotion. We listen to it when we’re happy, sad, excited, frustrated, and when we’re in the mood to party. 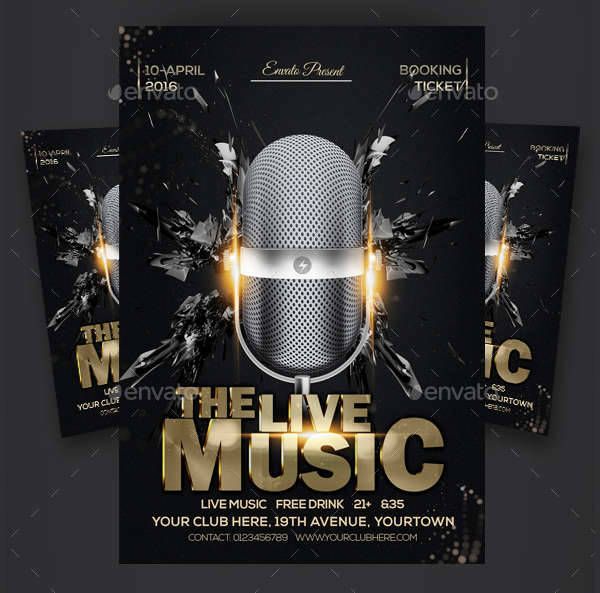 If you’re throwing an awesome event in honor of some of the greatest music and its makers, make sure you’re equipped with the finest flyer designs to draw in your crowd. 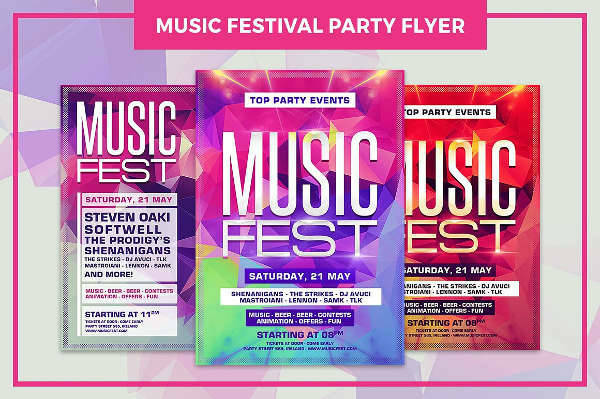 Our music party flyers are designed to cater to all kinds of parties and are available for download. Check them out! 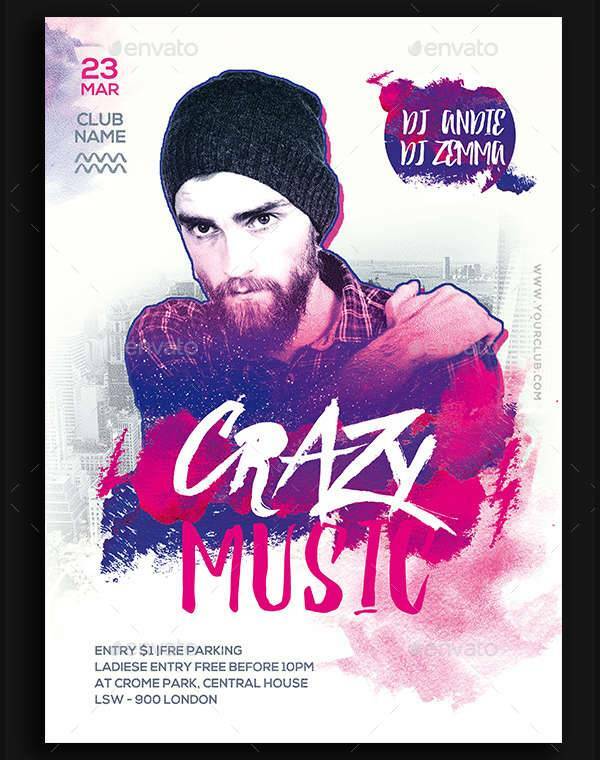 There’s a lot of thorough planning that goes into designing your party flyers. 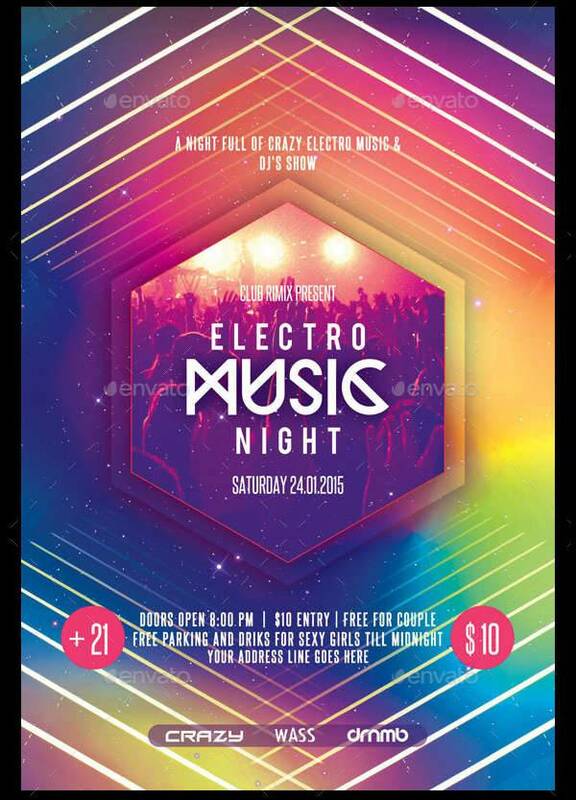 Not all music parties are the same, and that means their flyer designs shouldn’t be as well. 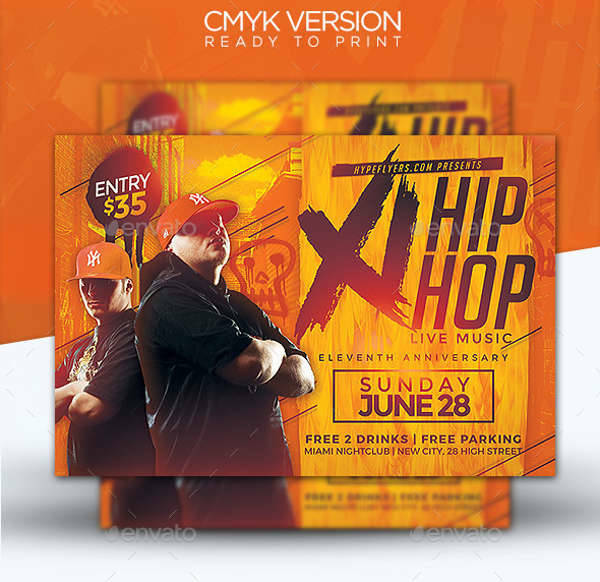 If you want your flyer to be remarkable, think of your event’s edge and go with that. 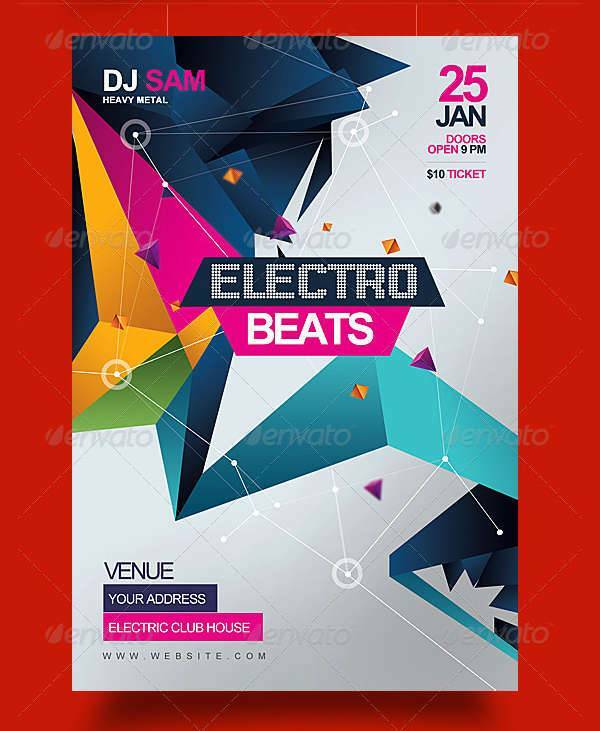 The Electro Party Flyer Design and Electro Beats Music Party Flyer, for example, both try to bring out the other-worldly sound of electronic music through geometric patterns, technicolor, and futuristic fonts; but in a different way. 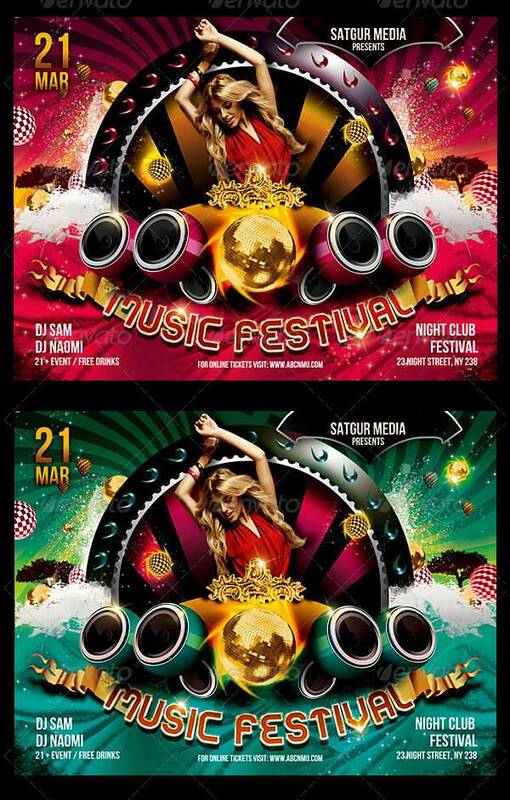 A retro-themed flyer is the appropriate design for a party dedicated to retro music. 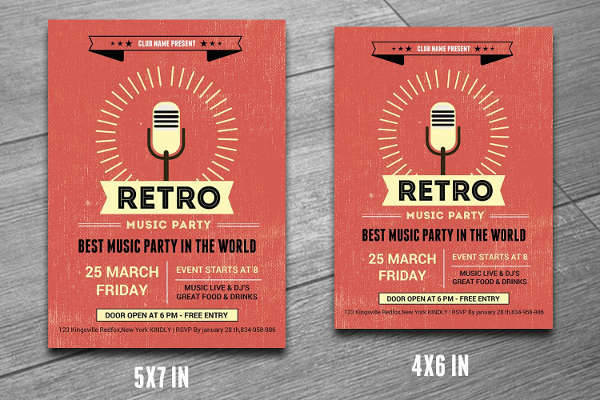 Download the Retro Music Club Party Flyer if you want a completely authentic retro-themed design. 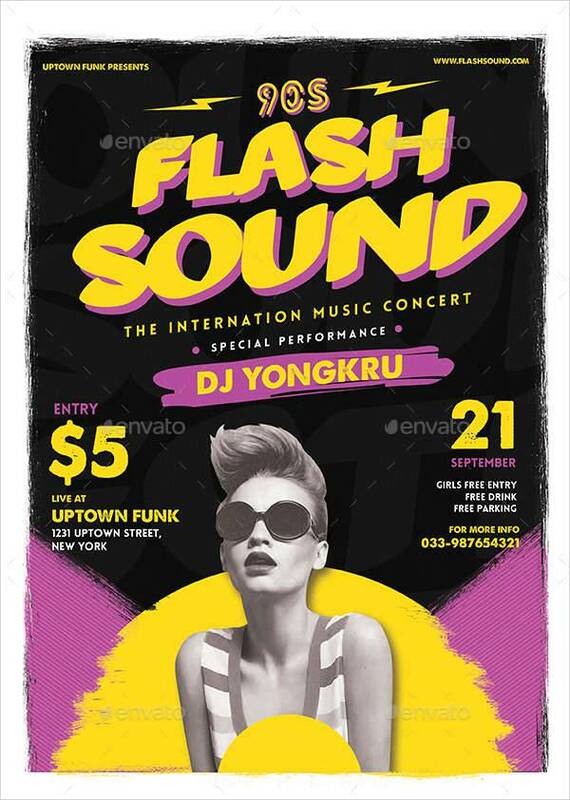 The Flash Sound Music Party Flyer is also up for grabs if you prefer something more funky with a pop art look. 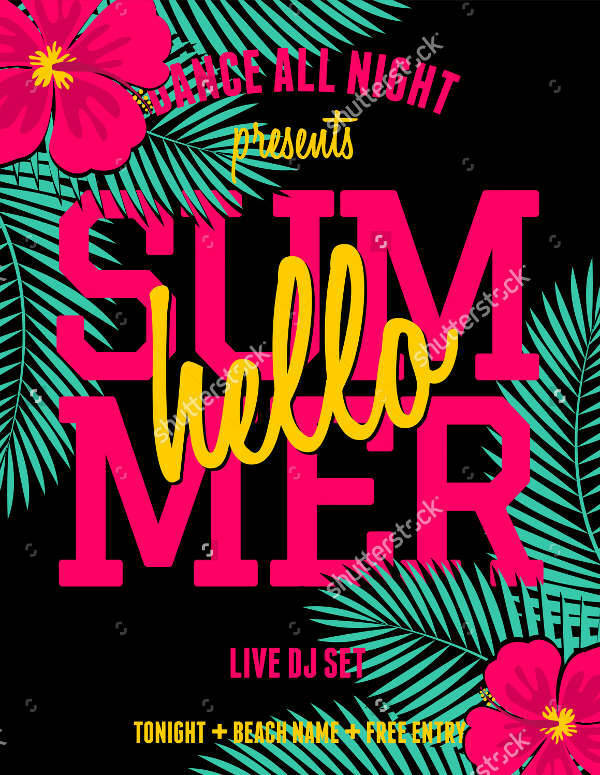 A music party flyer for the summer wouldn’t be complete without tropical patterns and a laid-back feel. 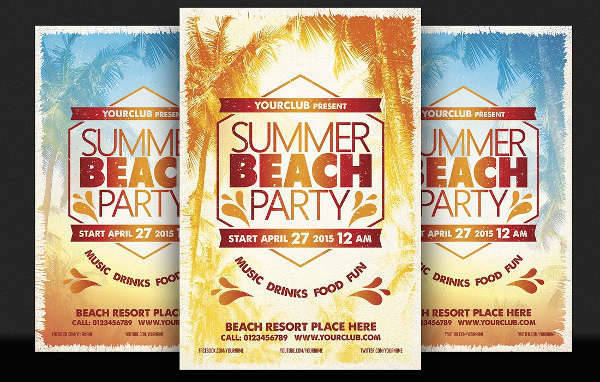 The Summer Beach Party Flyer and Summer Music Party Flyer are perfect for that chill summer vibe. 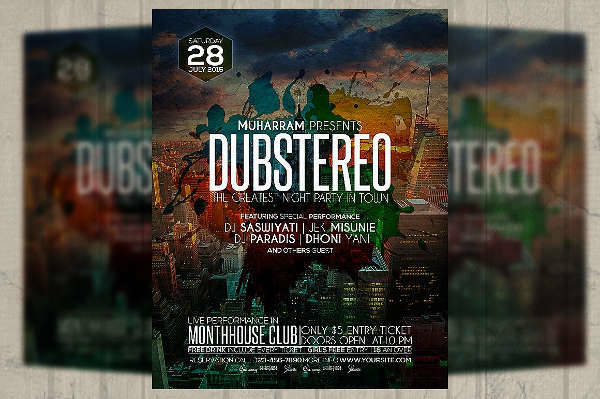 Designing your flyers is all about bringing out your own style. 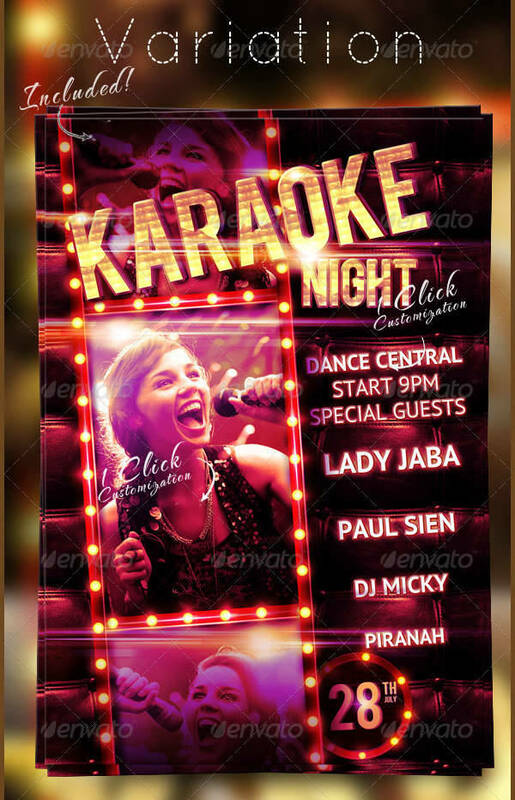 At the same time, think about what your audience wants and how you want them to feel when looking at your flyers. 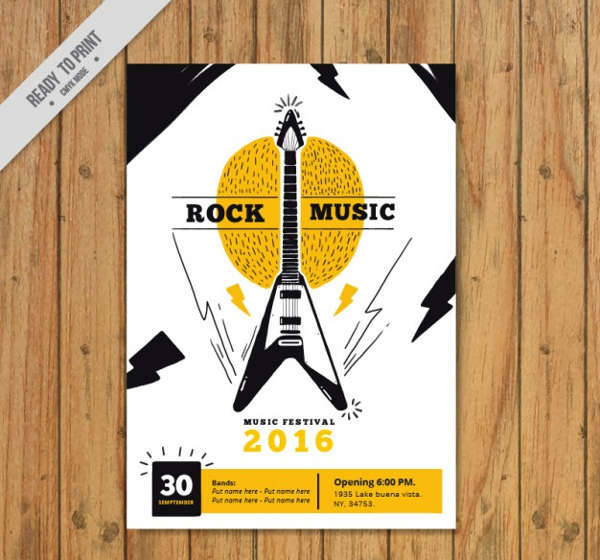 Intriguing Images – Images play a hug role in making your flyer visually appealing. This consists of your background, featured artists, and/or music icons. 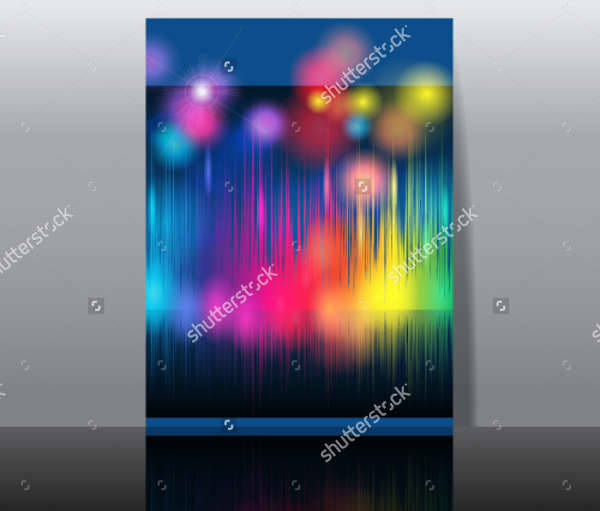 Dynamic Fonts – Depending on your ideal look, your fonts have to be in harmony with the message of your flyer. They can be bold, loud, funky, or delicate. 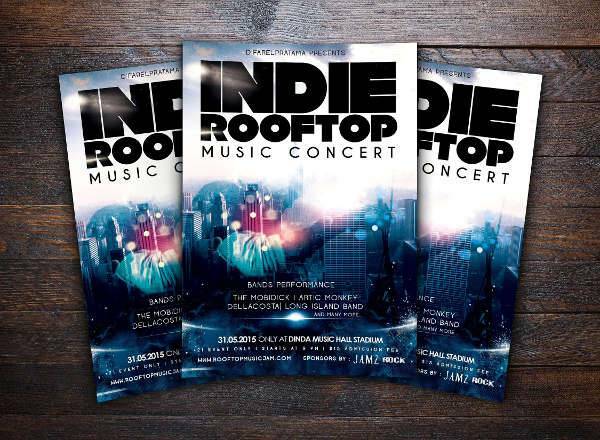 Headliner or Title – Come up with a catchy title to set yourself apart from other events. Event Details – These include the time, date, venue, contact info, and other relevant details people need to be able to access your event. 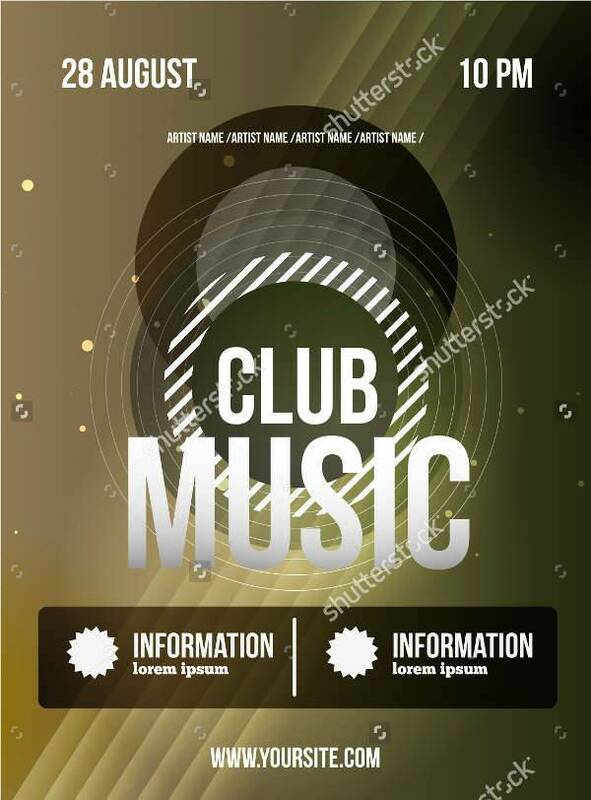 Working on your music party and DJ flyer designs is not that much of a challenge if you’ve got a clear set of goals. Plan out your designs so you can have as much fun with them in the process. You can download our list of designs to help you get the hang of it.